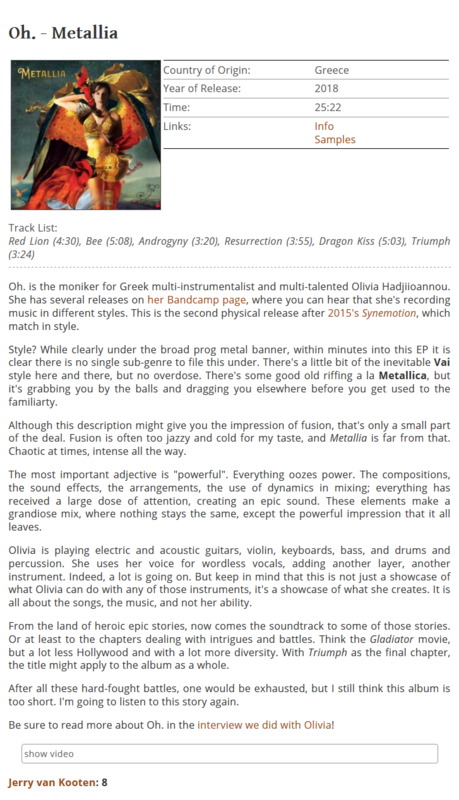 Review and Interview Oh.’s “Metallia” by Jerry van Kooten on Dutch Progressive Rock Page DPRP — Oh. 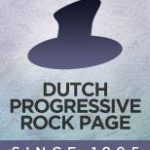 Jerry Van Kooten co-founder and reviewer on one of the oldest and largest progressive music webzines reviewed “Metallia” on DPRP. We also had a fantastic interview! One of the oldest and largest web zines specialised in progressive rock. DPRP started in 1995 by a small team of Dutch volunteers and has grown to become one of the leading international prog web zines, run by a team of 20+. DPRP provides weekly news, CD reviews, concert reviews, interviews and more. “We must be doing something right because people keep coming back!” laughs DPRP co-founder Jerry van Kooten. 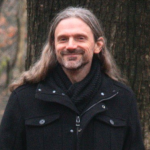 It was the Dutch computer programmer-turned reviewer’s idea that led to the creation of one of the longest running prog websites. A prog fan from the 80s, living in Holland, it was hard to get information. Friends in England sent him mixtapes but in the mid-90s there was nothing on the web. DPRP was one of the first sites providing information on the genre.